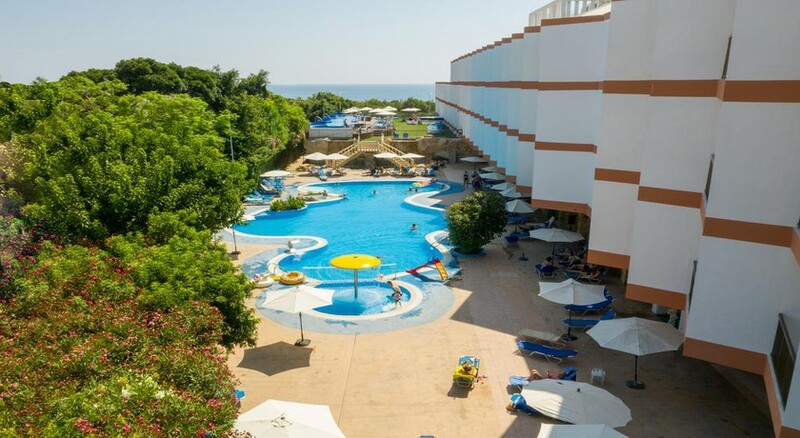 The Avlida Hotel is 4-star luxury hotel situated just 1.2km from the beach and the centre of Paphos. Featuring modern guestrooms, warm and prompt service, this hotel is perfect for solo travellers, couples and families. 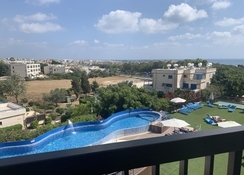 Located next to the Tombs of the Kings, this property is well-connected to the beaches and attractions of Paphos and offers car and bicycle hire to explore the area. Renovated in 2013, the accommodations come furnished with flat-screen satellite TV, air-conditioning and an en suite bathroom. Guests can also relax at the indoor and outdoor pools, a gym, sauna and hot tub during their holiday. Avlida Hotel stands bang opposite of the archaeological site of Tombs of the Kings and is surrounded by shops, pubs, bars, restaurants. The Paphos harbour area, buzzing with restaurants, pubs, bars, and clubs and its sizzling nightlife is 3.5km away. The Paphos International Airport is 18km from the hotel. The Avlida Hotel Paphos offers 200 well-appointed guestrooms. Providing quality accommodation at a reasonable rate, the twin and double bedded rooms come with individually controlled air conditioning & heating, free Wi-Fi, direct dial telephone, satellite TV, four channel radio, mini bar, hairdryer, bath, shower and WC. Rooms come in categories of balcony with inland, pool view, side sea & sea view, family rooms with sea view, interconnected rooms and family studios. The Avlida Hotel Paphos has three bars serving alcoholic and non-alcoholic beverages where guests can relax and ship a cocktail. There are two restaurants serving international cuisine. There is also The Tea Lounge which in addition to tea and light bites hosts nightly entertainment including live music and karaoke. Guests can relax at The Avlida Hotel’s indoor and outdoor pools. There is also rejuvenating sauna and steam bath facilities, while massage treatments can be had on request. 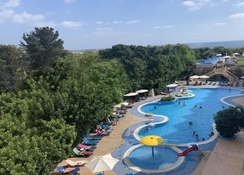 The hotel has facilities for billiards, tennis court, darts, table tennis, water aerobics and aqua polo onsite and diving is available at the beach. For the tiny tots, there’s a playground. Cars and bicycles could be hired at the hotel to explore the neighbourhood. 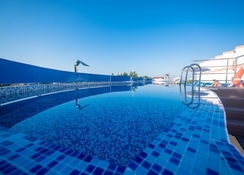 Clean rooms and pool' superb staff very helpful.. Excellent location. Basic dress code should be informed no bear chests in the restaraunt. Really enjoyed our stay at the Avlida, good food, lots of variety every night and the drinks were spot on too. Entertainment everynight and the bingo was always a laugh! Room was clean and spacious. No complaints from us! A reasonable budget hotel. Room comfortable and spacious. Food ok, however, could have been a little warmer. Swimming pool good. Alcoholic local beverages a little week. Staff good and friendly, especially the night reception guy. Nice Hotel, Bit Dated and Bar area was strange & closed early.